We often think of the culture industries as green, certainly in comparison with the extractive or manufacturing sectors. And when it comes to the relationship between the media and the environment, we generally consider issues such as how to communicate the science of climate change effectively. 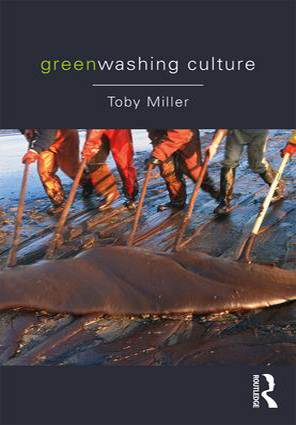 But culture is integral to greenwashing, and to ecological destruction. First, major polluters use their sponsorship of culture in search of a social license to operate. And second, the culture industries are major polluters themselves. Toby Miller is Research Professor of the Graduate Division, University of California, Riverside; Sir Walter Murdoch Professor of Cultural Policy Studies, Murdoch University; Profesor Invitado, Escuela de Comunicación Social, Universidad del Norte; Professor of Journalism, Media and Cultural Studies, Cardiff University/Prifysgol Caerdydd; and Professor in the Institute for Media and Creative Industries, Loughborough University London. He can be contacted at tobym69@icloud.com and his adventures scrutinized at www.tobymiller.org.